Algorithms are transforming the way athletes are evaluated. Spotting the next star athlete has always been as much art as science, but artificial intelligence of the sort that's transforming everything from business to healthcare is starting to muscle in on professional athletics too. Computer vision, machine learning and other forms of AI use algorithms to analyze player performance statistics, game videos, and data from various sensors to identify talent that coaches and scouts might otherwise miss. And since the algorithms comb through data far faster than humans can, they give teams in-depth information on more players than previously possible. Professional baseball, basketball and hockey are among the sports now using AI to supplement traditional coaching and scouting. Baseball scouts in particular have long used statistics to evaluate players. But now teams are starting to use AI to analyze an ever-expanding set of player data — including radar gun data (throwing speed and spin), video tracking (how players move around the field) and swing speed and mechanics from sensor-studded bats. "Everything that happens on the field, terabytes of data per game, is being collected, so this is where it’s really getting exciting now," says Ari Kaplan, a major league scout and baseball data analyst who has consulted for multiple Major League Baseball teams. “In some cases it gives you insights you would never think of, and those instances can be game-changers." It’s a similar story in the NBA. Every pro team now has computer vision systems that track how the ball and players move around the court. Some teams analyze this wealth of data using machine learning to identify things like how effectively players execute pick and rolls and other plays, says Dean Oliver, a basketball statistician who has consulted with NBA teams. And some are using the data to model how teammates interact to determine which players were key to successful plays. “That is the far envelope of what’s being done right now,” Oliver says. Artificial intelligence has shown it can spot talent that otherwise might be overlooked. 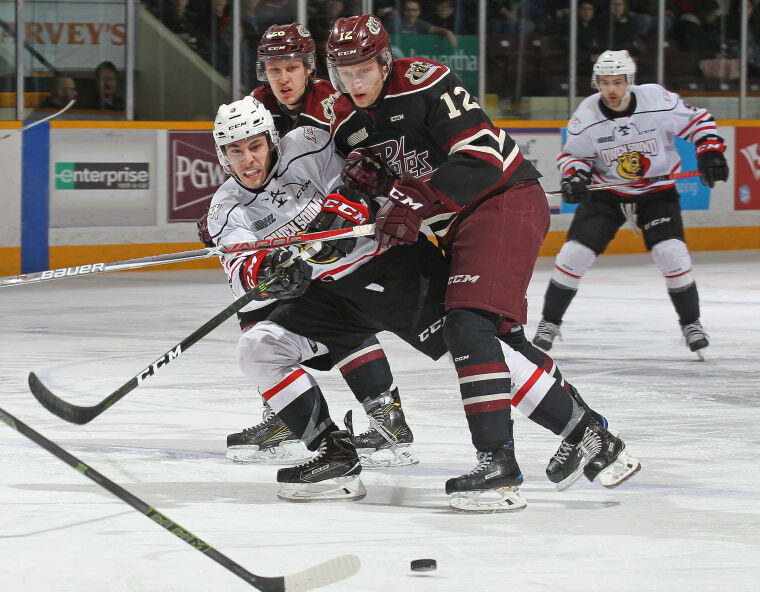 Sean Durzi, a 19-year-old defenseman in the Ontario Hockey Leagues, may be a case in point. Durzi is a hot pick for this year’s NHL draft, but top teams didn’t grab him when he was available in last year’s draft even though an AI-powered analytics system ranked him in the top 40. The company’s computer vision software uses standard broadcast videos of games to track players’ movements and the orientation of their bodies during play. Then machine-learning algorithms crunch the numbers to evaluate players’ skills and overall potential, classifying them into what the company calls “archetypes” — for example, splitting forwards into subcategories like offensive forward, power forward or defensive forward. Sportlogiq is one of several companies developing AI systems that help teams evaluate players — and make sure no talented athletes fall through the cracks. Brooklyn Dynamics is developing an app that will let scouts, coaches and even players access AI tools in the field — so player data can be collected, analyzed and uploaded to a global database that college and pro teams can review. Austin, Texas-based AI company SparkCognition, has developed an AI system it says will enable universities to quickly evaluate thousands of applications from student athletes. The system weighs players’ statistics and their performance in game videos but also takes into account academic grades, recommendations, and other relevant information, says Usman Shuja, the SparkCognition manager who led the project. Want more stories about artificial intelligence?